Written in calligraphy, words appear to waltz across a page. 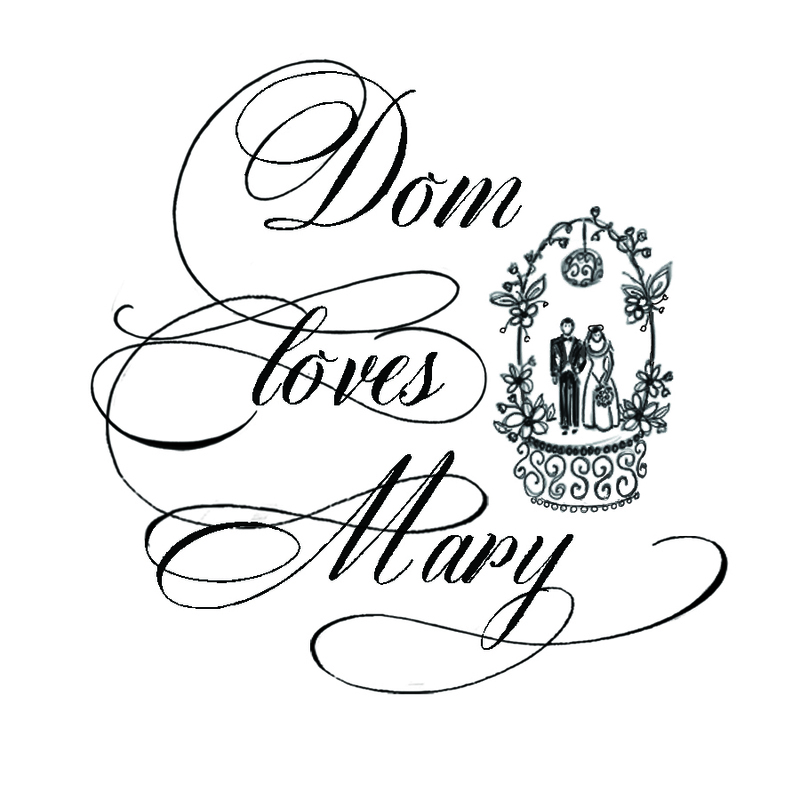 But don't let the rythmic flourishes and old-world elegance of such lettering fool you. 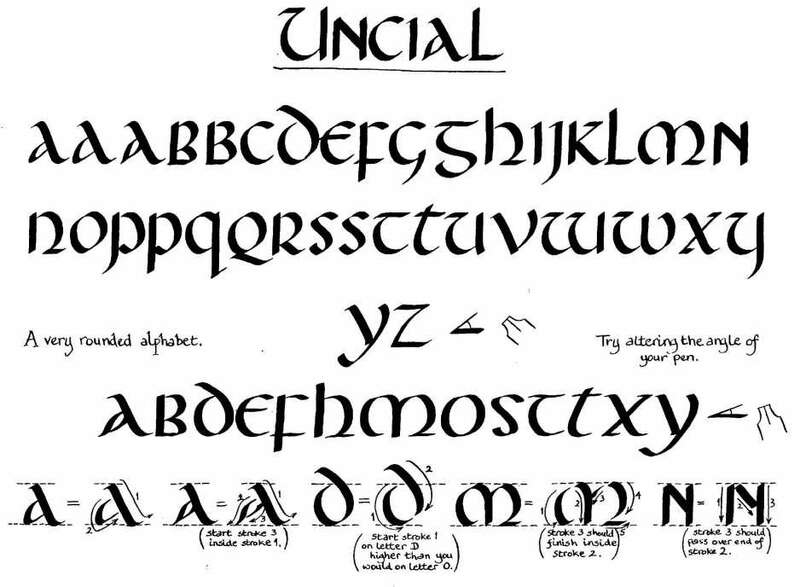 Calligraphy is easy to learn. All you need to do it are a few special tools and a bit of patient practice. 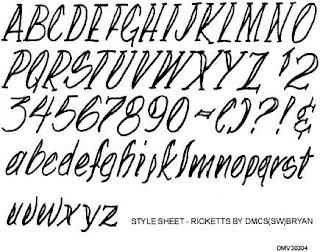 Before long, you'll find making letters this way as comfortable as using your best penmanship. 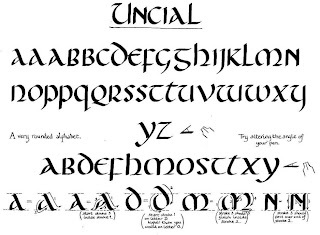 There are numerous styles and methods of calligraphy. 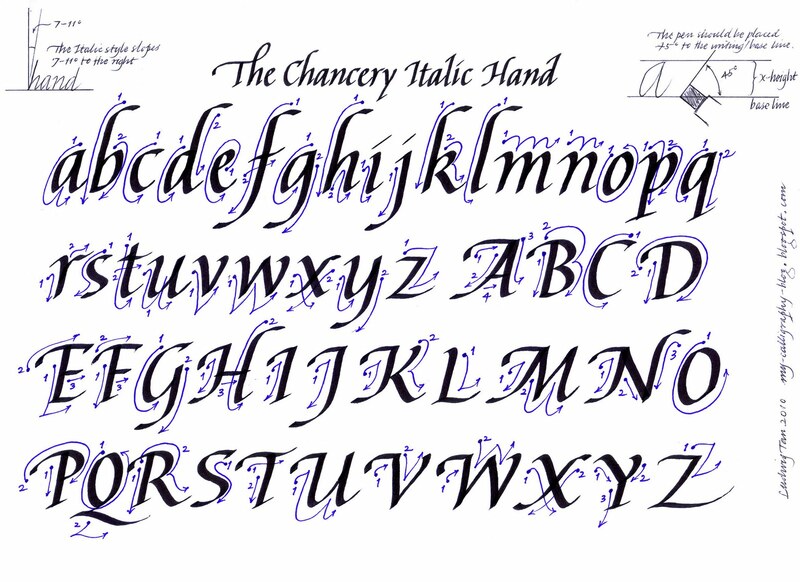 We selected copperplate script because of its sophisticated appearance and simple form. Begin with a pen, a nib, ink or gouache, a guide sheet, and paper. Dip the pen into the ink until the hole of the nib is nearly covered; tap the nib on the rim of the pot, then make a few strokes on scrap paper to eliminate any excess ink, which might cause blotches or drips. The goal is to use enough ink to make solid lines, but not so much that the lines bleed. When the nib begins to scratch the paper, it's time to redip your pen. Refer to the diagrams above to learn how to create letters and numerals (If you click on the tiny image, a new window will open with a full-size printable page). Position the paper at an angle, with the pen's tip aligned with one of the diagonal lines on your guide sheet. 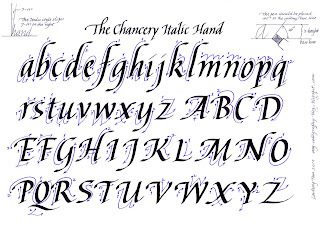 This technique may take getting used to because, unlike cursive handwriting, calligraphy usually involves lifting the pen from the paper several times during the course of making each letter.